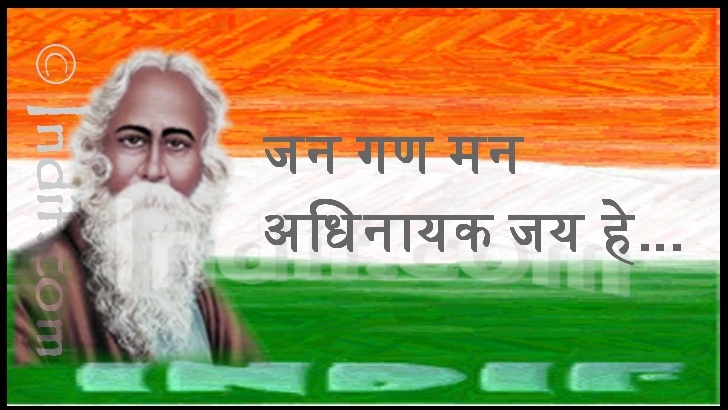 The Indian National Anthem, originally composed in Bengali by Rabindranath Tagore, was adopted in its Hindi version by the Constituent Assembly as the National Anthem of India on 24 January 1950. It was first sung on 27 December 1911 at the Calcutta session of the Indian National Congress. The complete song consists of five stanzas. The frist Stanza consists full version of the national Anthem.Playing time of full version of the National Anthem is approximately 52 seconds. The lyrics were rendered into English by Rabindranath Tagore himself. The National Anthem like the National Flag is a sacred symbol of India as a free nation. It is call to our countrymen to be united and strong.